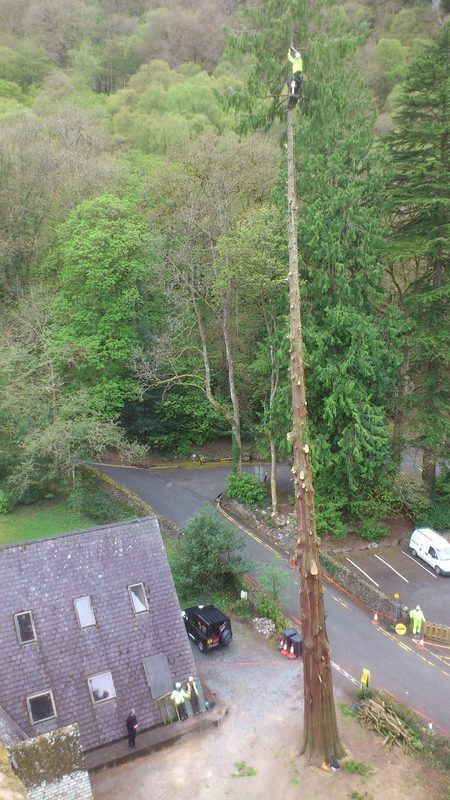 We will shortly be commencing Tree safety work at St Marys Church and The Royal Oak Hotel Betws Y Coed. Phase 1 will be the deadwooding and tidying/crown lifting of mature Oak trees alongside the A5 on the Church Boundary. Phase 2 Involves 3 large mature trees that are to be felled firstly removing branches from the trees. Phase 3 Using a crane we will sectionally fell the large stems.